The U.S research community is conducting a deep ice coring project in West Antarctica for studies of climate, ice sheet history and cryobiology. This project is collecting a deep ice core from the West Antarctic Ice Sheet (WAIS) ice flow divide and integrating approximately 30 separate but synergistic projects to analyze the ice and interpret the records. The most significant characteristic of the WAIS Divide project is the development of climate records with an absolute, annual-layer-counted chronology for the most recent ~40,000 years. Lower temporal resolution records will extend to ~100,000 years before present. The WAIS Divide ice core will provide the first Southern Hemisphere climate and greenhouse gas records of comparable time resolution and duration to the Greenland ice cores enabling detailed comparison of environmental conditions between the northern and southern hemispheres, and the study of greenhouse gas concentrations in the paleo-atmosphere, with a greater level of detail than previously possible. 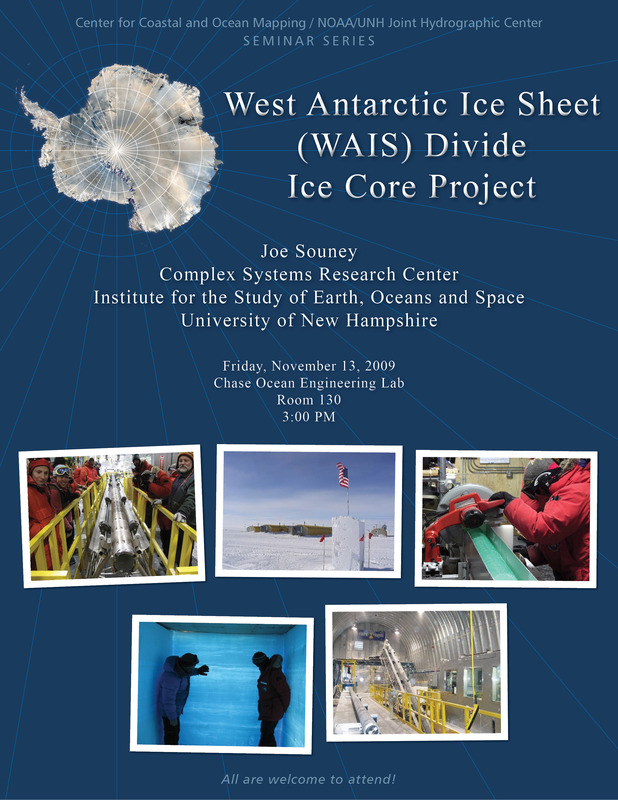 Joe Souney is the Operations Manager of the Science Coordination Office (SCO) for the WAIS Divide Ice Core Project. He has a B.S. in Geology and a M.S. in Geochemical Systems from the University of New Hampshire. Joe is a Project Director with the Complex Systems Research Center in the Institute for the Study of Earth, Oceans and Space at the University of New Hampshire and splits his time between three projects: the WAIS Divide SCO, the Science Management Office for the National Ice Core Laboratory, and the U.S. Ice Drilling Program Office.